I’m so grateful to have had two natural births that worked out the way I wanted them. I’ve talked on this blog in the past about ‘manifesting’, and I truly feel like I manifested the births I wanted. There were so many details around timing and duration (and arranging care for my eldest, and getting her to school if it was a school day, fed if it was a mealtime, etc) that I put a lot of attention in to how I wanted the birth to unfold. Once the first few weeks (months?) of sleepless but sweet and precious newborn life settles, I look forward to writing my birth story. I’ll be taking a few months off of actively working, but as I mentioned I’ve arranged for a bunch of great content to fill this spot until I get back. There are some new cooking videos, recipes, more articles in my ‘environmental toxins’ series and a number of guest posts by friends and colleagues I’m calling my Babysitter Bloggers! 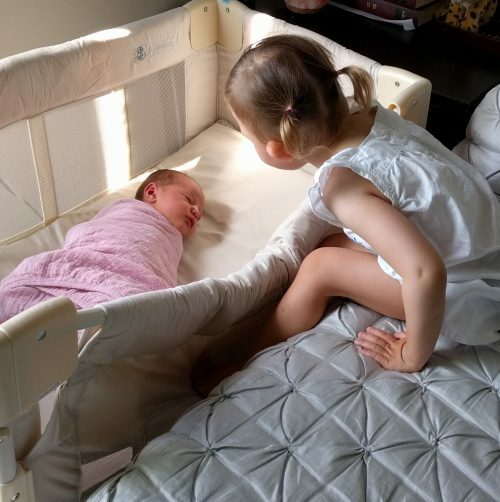 In fact, to get you started here is the very first Babysitter Blog post now! Wishing you all a fun fall! Hi, Abby. Congratulations to you and your entire family on your daughter’s birth. She truly is beautiful. With special love from Lee and Bill.